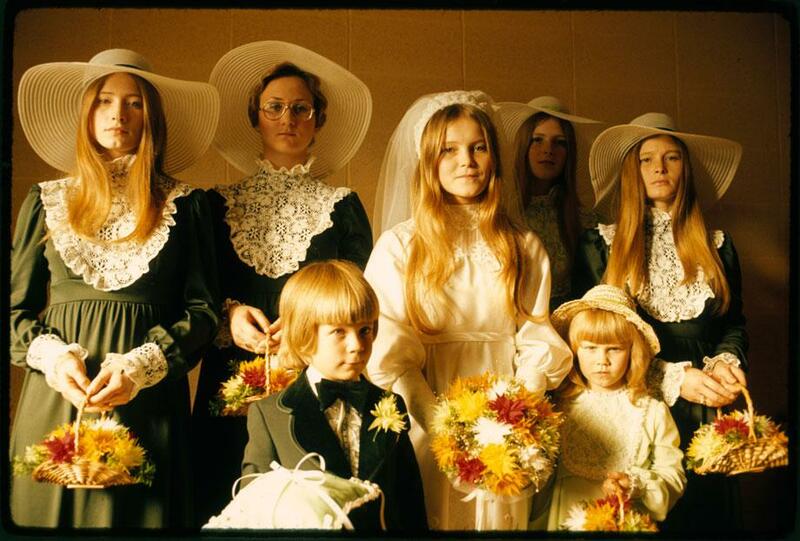 Searching for the ’70s: The Documerica project at the National Archives (PHOTOS). 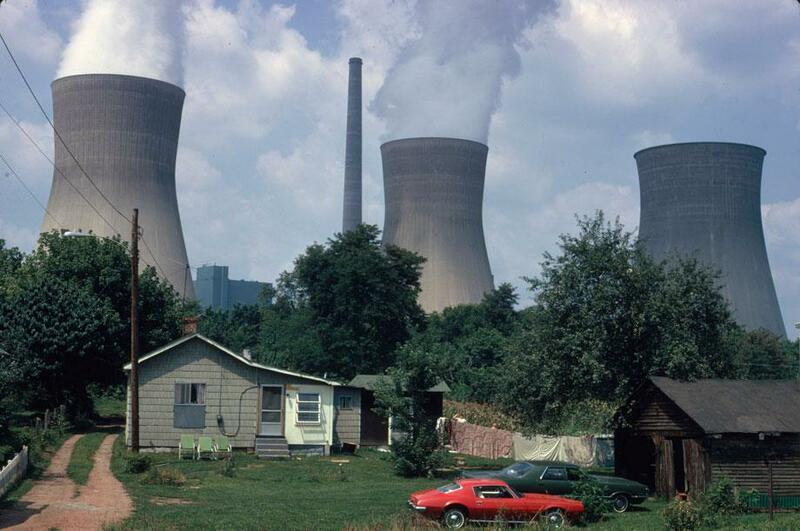 Water cooling towers of the John Amos Power Plant loom over a Poca, W.Va., home on the other side of the Kanawha River in August 1973. How do you take a problem as broad as “the environment” and then subdivide that by issues specific to every state in America—and then further subdivide it by issues related to culture, politics, and race? You might try to divide and conquer. In a way, that was the idea behind the Documerica Project, created by the Environmental Protection Agency in 1971. Documerica set out to capture how America viewed the rapidly deteriorating environment marked by issues of pollution and waste taking shape around the country. Founded by Gifford Hampshire, Documerica lasted about six years, hired roughly 70 photographers, and knocked out 115 assignments in all 50 states. Photographers were paid $150 a day plus film and expenses and were given the creative freedom to interpret environmental issues outlined to them from EPA employees. The results—22,000 images—ended up documenting environmental issues and brought another meaning to environment that focused on local neighborhoods, social issues, political changes, and the remarkable fashion trends typical of the 1970s. 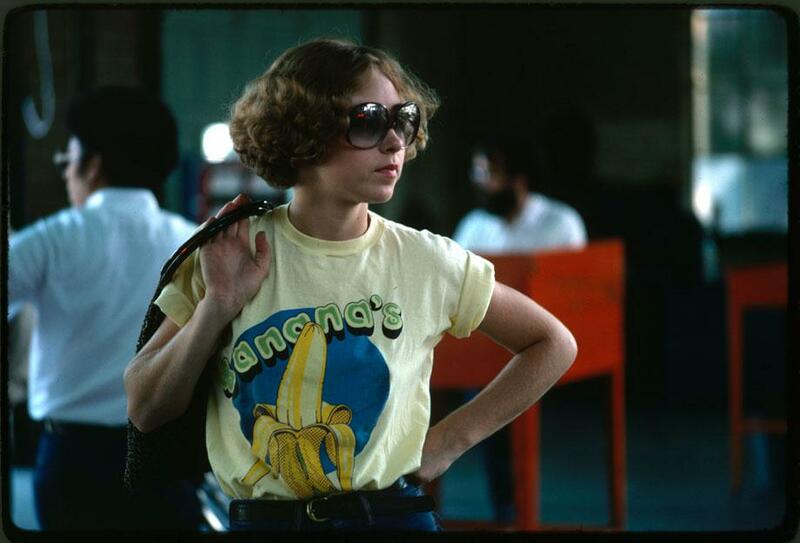 The National Archives in Washington, D.C., edited through the archives of Documerica and has put on view an exhibition titled “Searching for the Seventies: The Documerica Photography Project” that will run through Sept. 8 in the Lawrence F. O’Brien Gallery. A woman watches as her car goes through testing at an auto emission inspection station in downtown Cincinnati in September 1973. All light-duty, spark-ignition-powered motor vehicles were tested annually for carbon monoxide and hydrocarbon emissions and given a safety check. All other vehicles registered in the city received an annual safety check. The emissions test on an exhaust analyzer went into effect in January 1975; the safety test had been in effect since 1940. 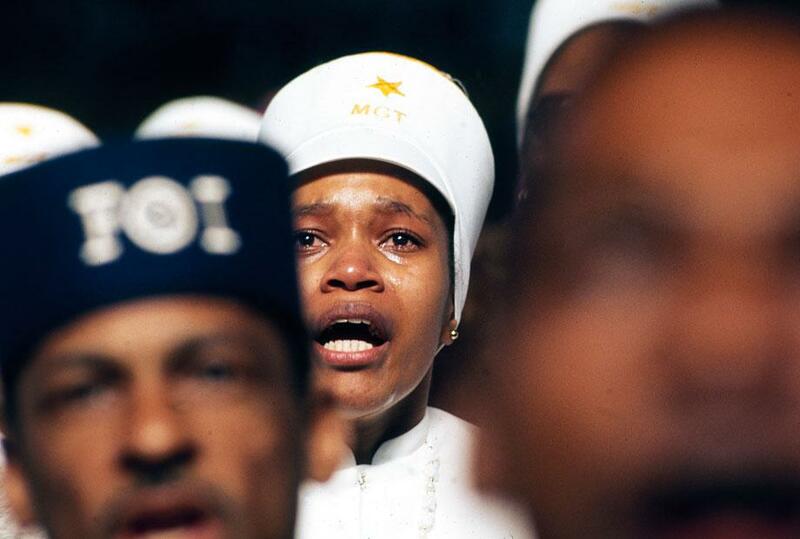 Religious fervor is mirrored on the face of a Black Muslim woman, one of some 10,000 listening to Elijah Muhammad deliver his annual Savior’s Day message in Chicago in March 1974. The city is headquarters for the Black Muslims. Their $75 million empire includes a mosque, newspaper, university, restaurants, real estate, bank, and variety of retail stores. Muhammad died Feb. 25, 1975. Bruce Bustard, senior curator at the National Archives, had been interested in Documerica since the late 1990s and was eager to work on the project. He wrote via email that a couple of things helped him to curate the show from the prolific collection of images: focusing on key issues of the 1970s and editing through the selects with Archives staff members. When you have the chance to work with an expansive and exceptional body of work, it doesn’t hurt, either. 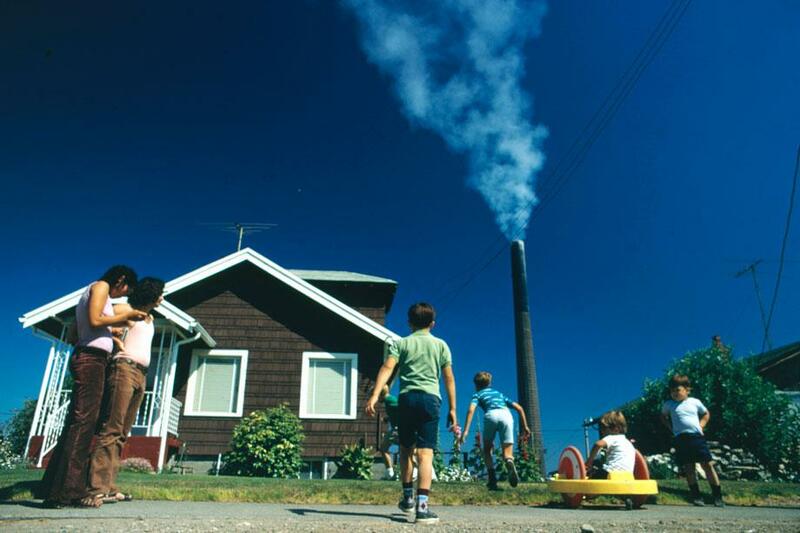 Children play in the yard of a Ruston, Wash., home, while a Tacoma smelter stack showers area with arsenic and lead residue in August 1972. 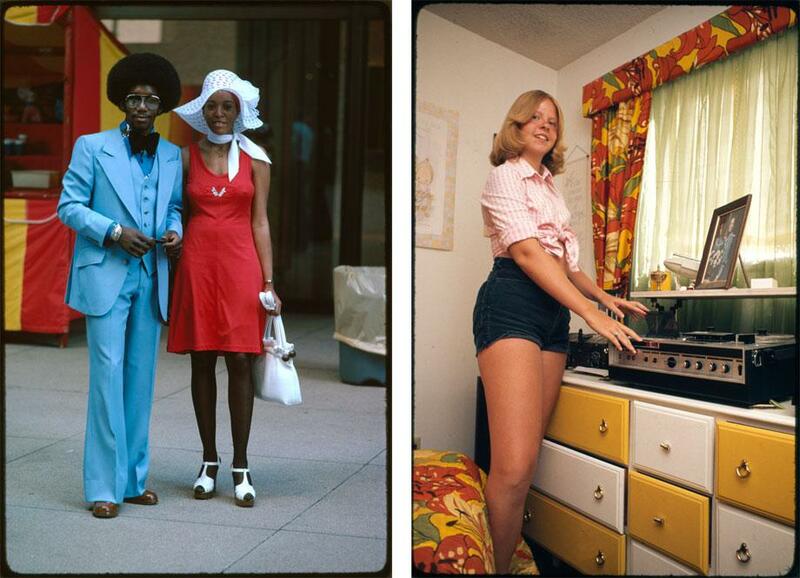 Left: Michigan Avenue, Chicago, July 1975. Right: Dana Jens in her bedroom in Meeker, Colo., in July 1975. “Searching for the Seventies” is divided into three sections: crises in America related to civil rights, unemployment, inflation, and energy; the push toward both self-expression and group identity; and the growth of suburbs and destruction of the environment in the changing landscape. It is remarkable and enviable to imagine a government-sponsored program (the Farm Security Administration had done a similar project during the Great Depression) that was developed to be both a sociological and creative archive. Today there is a similar project, State of the Environment, on Flickr, that is much broader (it covers the world) and encourages anyone to participate. In some ways, comparing Documerica to State of the Environment is symbolic of the debate today between hiring professional photographers or using amateur shooters. The country’s fuel shortage led to problems finding gas and paying higher prices, which resulted in theft from cars left unprotected. 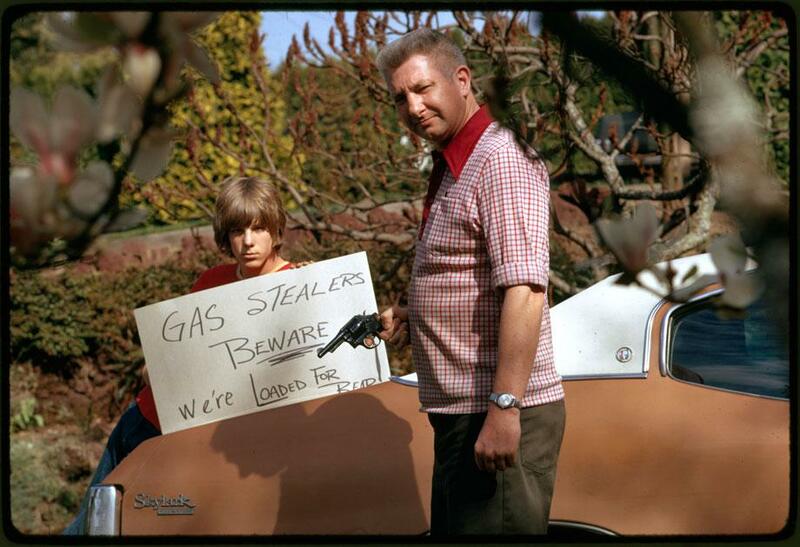 This father and son made a sign warning thieves of the possible consequences in Portland, Ore., in April 1974. 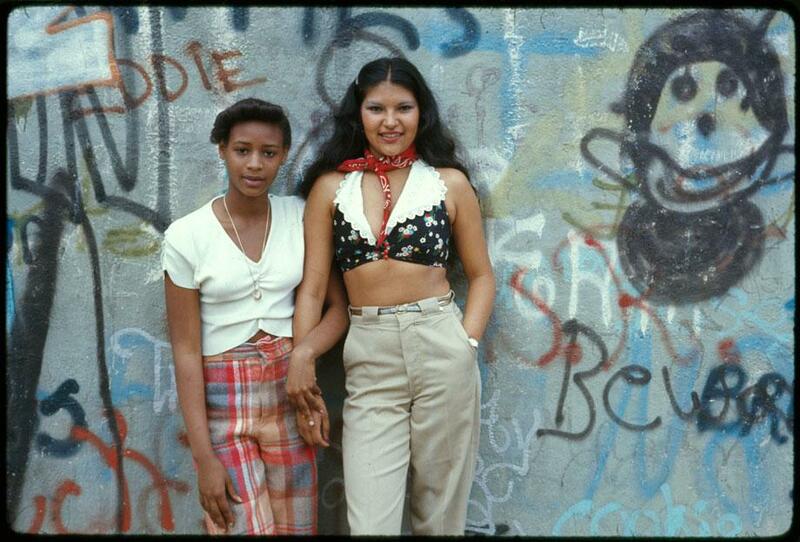 Two girls pose in front of a wall of graffiti in Lynch Park in Brooklyn, N.Y., in June 1974. The use of professional photographers was also evident once Bustard began looking at the exhibit prints for the show. Because he had seen many of the Documerica images online or on the Archives’ electronic records catalog, he wasn’t prepared for the high quality of the prints. 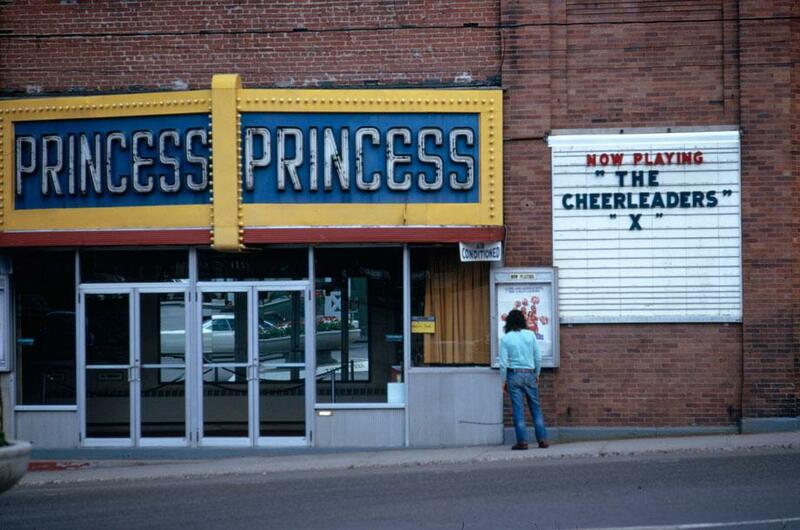 “For ‘Searching for the Seventies’ we were able to go back and make scans from the original slides. They had been stored under much better environmental conditions. When I saw the first color test prints, they knocked my socks off,” Bustard said. 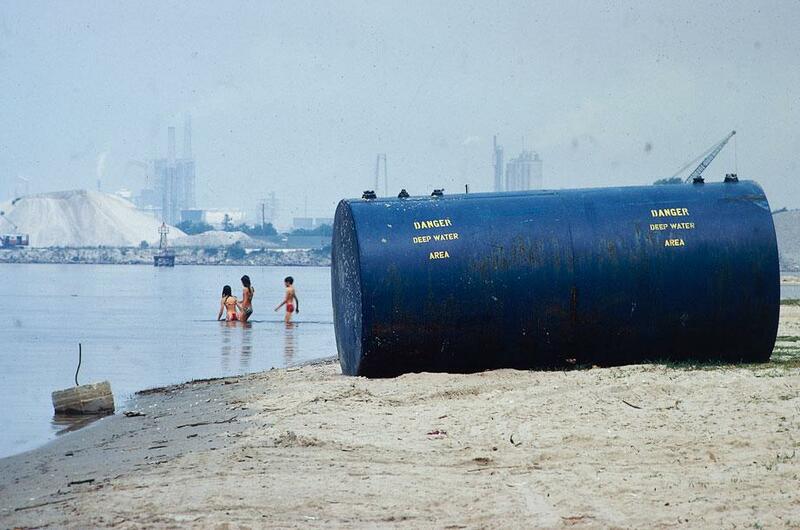 Chemical plants on shore are considered a prime source of pollution for Lake Charles, La., in June 1972. 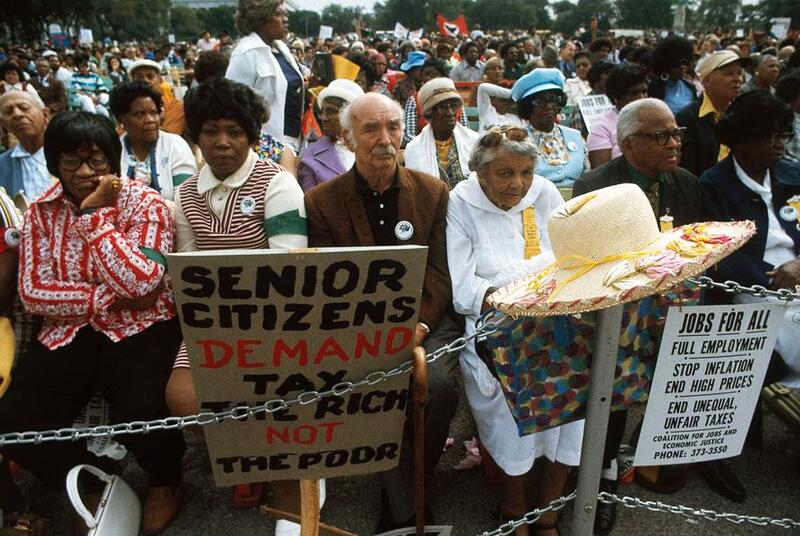 A senior citizens’ march to protest inflation, unemployment, and high taxes stopped along Lake Shore Drive in Chicago to hear speeches from various officials in October 1973. The rally was headed by Rev. Jesse Jackson and Operation Push.